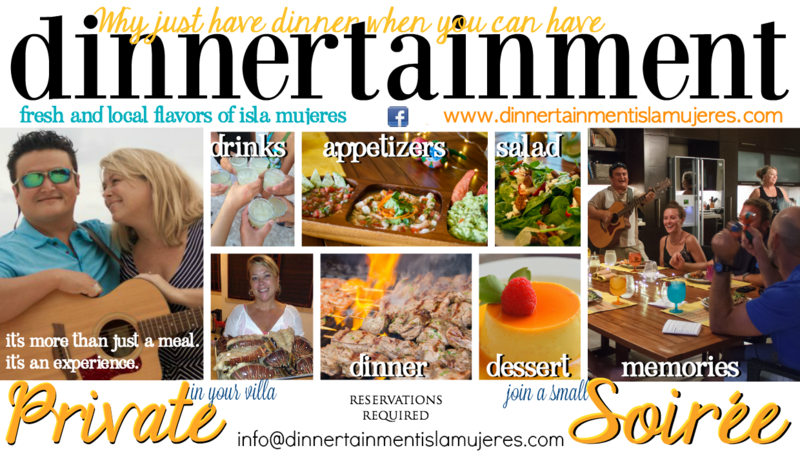 Dinnertainment | What is Dinnertainment? 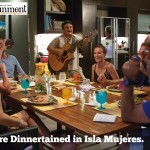 Home » What is Dinnertainment? 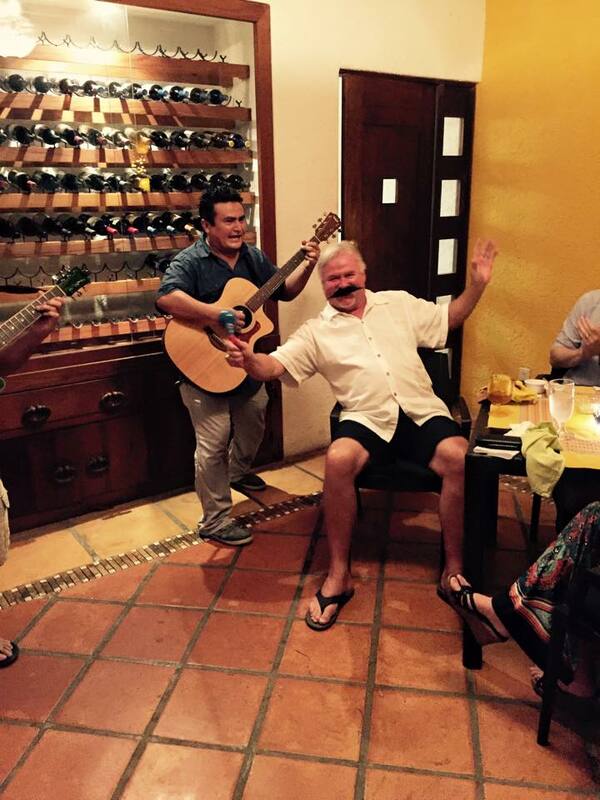 Give your group an experience to remember with local chefs and local flavor with live local music right in your own rental. Not sure your rental will accommodate? Traveling in smaller groups or solo? Not to worry. Join a Dinnertainment Soirée. These are small groups you can join to experience the magic. It’s more than just a private chef and dinner, it is an intimate dining entertainment experience. We do all the shopping and preparing then cook for you at your villa. If you want to join in, make it a cooking class just for you. We start with drinks, 1 round per person are on us. Javi makes authentic margaritas that are sure to have you wanting more. More pitchers are available at cost. These drinks are enjoyed with appetizers, typically Guacamole, Shrimp Ceviche and Pico de Gallo with chips. After the yummy spinach, strawberry salad, next comes the entree. We are flexible and offer fresh fish, shrimp, lobster (extra cost) or arracherra prepared so special, you won’t forget it. With stir fried rice and fresh vegetables. While you eat, we are preparing dessert to serve right out of the oven while Javi plays guitar and sings. Any musicians in your group, the more the merrier! Marla is sure to sing as well. Includes 1 round, enough for everyone in your group to have one. More pitchers are available for purchase. We also offer a wide variety of private chef and catering services. Welcome snacks and drinks at your villa, breakfasts, lunch, dinner or just snacks by the pool. Reasonably priced and delivered or prepared in your villa. Please visit our Menu Ideas page for more information. Want to join or host?